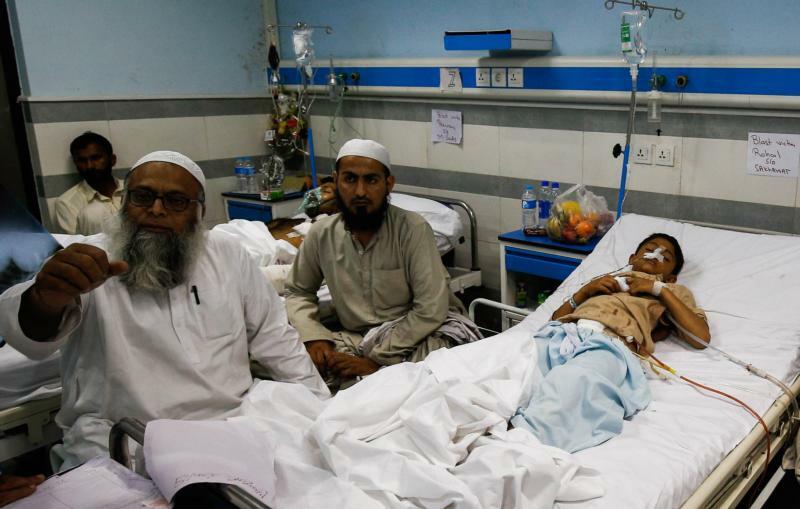 MANCHESTER, England (CNS) — Archbishop Sebastian Shaw of Lahore, Pakistan, said he was grief stricken while visiting hospitalized child victims of an Easter bomb attack in a city park. The children were among 340 people injured by a suicide bomber. At least 72 people died, including 29 children, in the March 27 attack in which a splinter group of the Taliban specifically targeted Christian families celebrating Easter, authorities said. Archbishop Shaw described how he went from bed to bed listening to accounts of the attack from the victims and their families, according to a statement from the charity. “I visited every bedside and every victim, of whatever faith. It was truly difficult because I saw so many children, only 4 or 5 (years old), both Christians and Muslims, who had been wounded or killed by this terrible attack,” Archbishop Shaw said. He said that besides Christian and Muslim families, other non-Christians were in the park at the time of the attack as well. “To my own faithful, I said that they must not give up hope because, even though we were going through a period of grave difficulties, we have to learn to rise up again, just as Christ was able to raise himself again, despite carrying the cross,” he added. The archbishop noted that security had been tightened around churches in Lahore, which had been the targets of terrorist attacks on Easter in 2015. Police, he said, did not consider that the park might be a potential target of the terror groups. “After the attacks last year on two Christian churches in Youhanabad, we were fearful that there might be another attack, and for this reason the government had provided all the necessary security measures to protect the churches, but no one had thought about the park,” he explained. Peter Jacob, former director of the Pakistan Justice and Peace Commission, told Aid to the Church in Need that the attacker detonated the bomb when the park was at its busiest, with about 3,000 people there at the time. Meanwhile, Wilson Chowdhry, chairman of the British Pakistani Christian Association, said in a March 28 statement that the attack offered more evidence of a campaign of genocide against Christians in Pakistan. 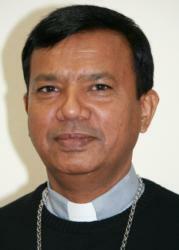 “Pakistan is not safe for Christians as there is a genocide taking place there. Not a genocide that is state-sponsored in its entirety but a genocide nevertheless,” he said while calling on world governments to respond to the attacks so that the Christian death toll does not continue to mount.